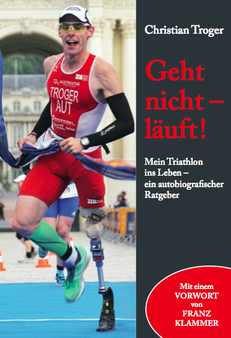 In his book, Christian Troger describes his personal story. He tells, how he found his way out of the dead end, the way into a more successful, more fulfilled and happier life. He particularizes how he learned to deal with extreme situations, difficulties, obstacles, fears and defeats. Christian Troger invites his readers to look at the life throughout his actions, experiences and insights. In addition he shows pictures from his childhood and youth, as well as from the biggest successes of his career. 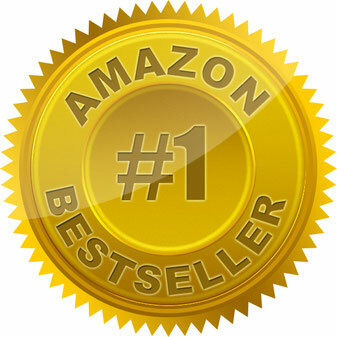 "This book will touch and inspire people. Above all it should give hope to those people, who have lost their way and need the courage to start a new phase in their life", writes the Austrian Skiing legend Franz Klammer in his prologue. The book also supported a charitable purpose. For each sold copy one Euro went to the "Franz Klammer Foundation". The main task of this organization is the support of people who suffer hardship, related to sport. Already 3 weeks after publishing in July 2015, this book was bestseller in the category "Coaching" on Amazon. Meanwhile this book is already sold out.